Go far beyond the ordinary. with unparalleled levels of luxury and blistering performance for both driver and passengers alike. Bentley has seen through new eyes. Now, it’s your turn. 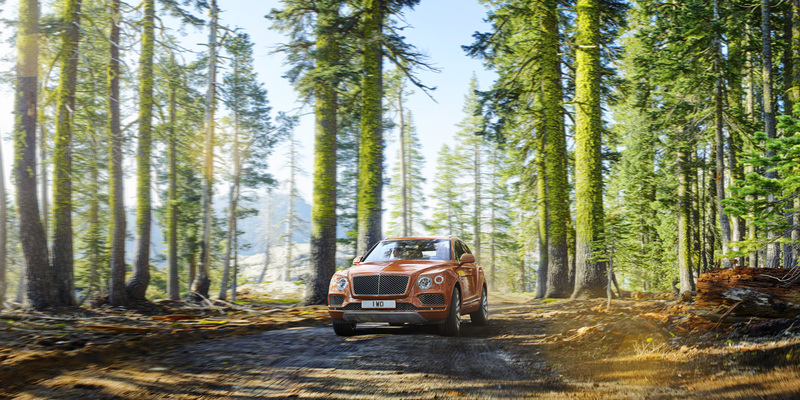 Bentayga features an intelligent mix of materials, with an advanced aluminium exterior, covering a structure that blends aluminium castings with a high-strength steel. Each curve and line is defined by our signature sharp lines and seamless surfaces. This is particularly noticeable in the front wings where an innovative superforming technique creates the muscular powerline that runs the length of the flank and over the wheel arch. This innovative approach also allows the fully adaptive LED lamps, with integrated washers, to fit flush to the body, creating the striking impression that they are floating in the bodywork. Extensive brightware and optional 22” fully-forged and machined aluminium wheels add a further level of eye-catching detail. 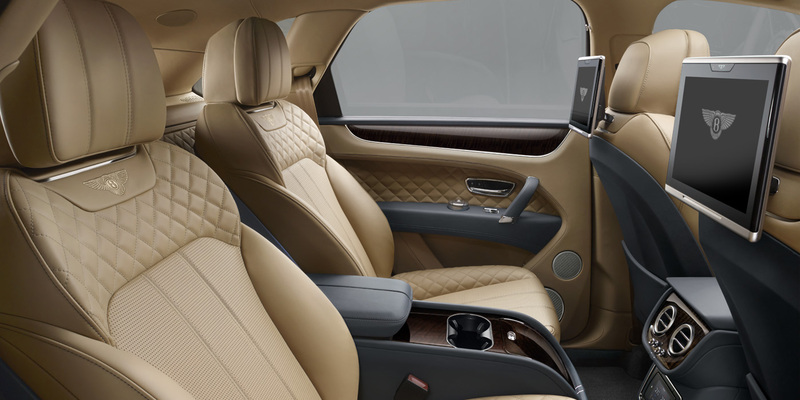 Handcrafted in Crewe by our experts, the interior of Bentayga is elegant and refined, finished with the most exquisite materials. Easily visible from outside the vehicle, the quilted seat shoulders echo the compact squares and fine tailoring of classic shooting jackets, giving a tantalising glimpse of the craftsmanship that awaits inside. The cockpit architecture is based on double Bentley wings, giving it balance and symmetry, with a unique sense of calm. The beautiful wood veneers are carefully selected, cut and matched to create a seamless flow of high-gloss wood around the entire interior. Solid metal detailing with precision finishes add another dimension. The whole cabin is flooded with light from the panoramic roof, adding to the sense of space, comfort and luxury. 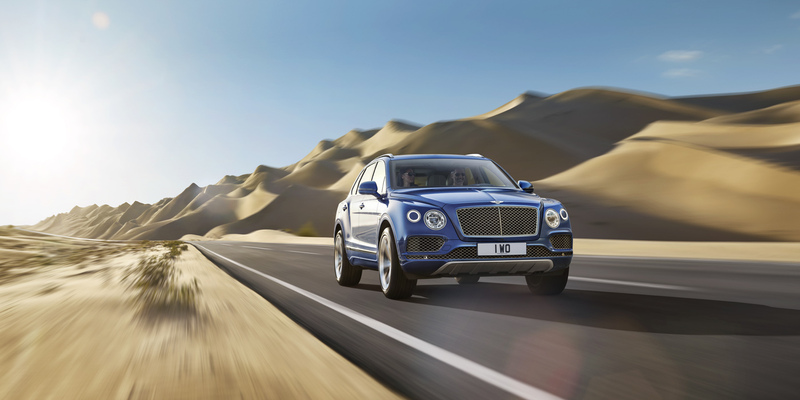 Bentayga is extraordinarily powerful, taking you from a standing start to 60 mph in 4.0 seconds (0-100 km/h 4.1 seconds), with a top speed of 187 mph (301 km/h). But it’s not all unadulterated speed. The design of the twin turbochargers has been optimised to deliver better performance and efficiency than ever before. 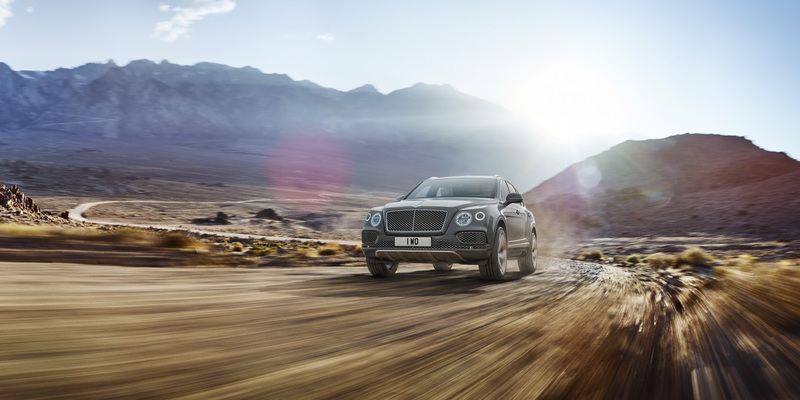 And Bentayga is more than capable of putting its torque to work in other practical ways. The W12 engine delivers 5-90% torque within 1.1 seconds, twice as fast as its predecessor. This also helps Bentayga operate perfectly in all off-road conditions, at lateral and longitudinal angles of up to 35°. The power to take on the planet’s most challenging surfaces is at your fingertips in the Bentayga. Drive Dynamics Mode offers the smoothest of rides, over the toughest of environments, with absolute confidence and total control. 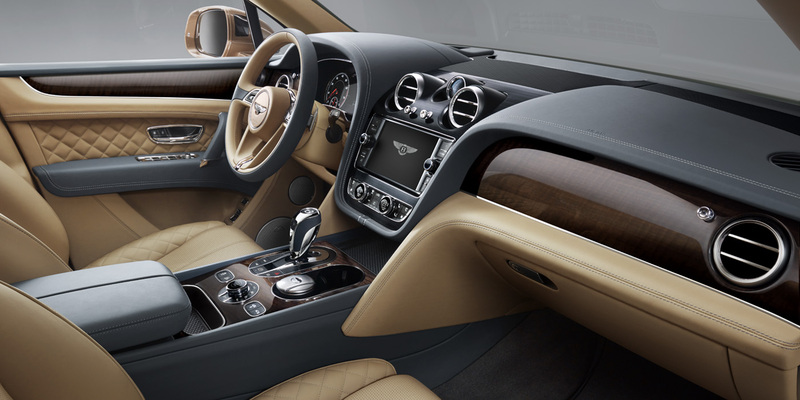 Switch between four settings – Comfort, Sport, Custom and Bentley – using an intuitive rotary control. Drive Dynamics makes choosing the right mode for your mood or conditions simple. Bentley mode gives you the optimum balance between comfort and performance; Sport mode delivers a performance driving experience and Comfort mode is optimised to give the most refined and comfortable driving experience. 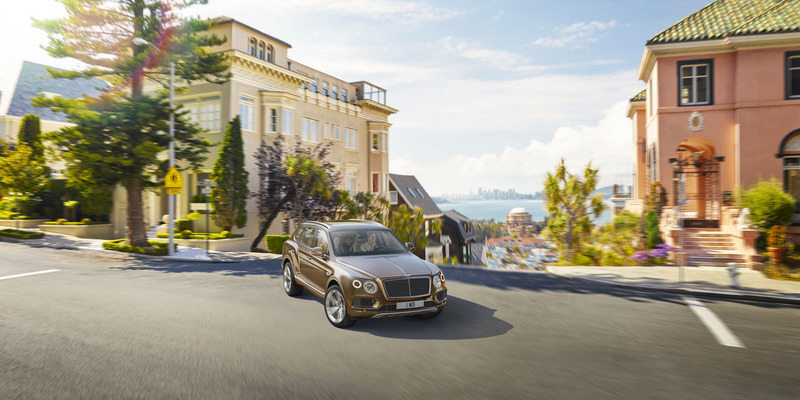 Bentayga features more than ten Driver Assistance systems for urban driving, longer distance touring and more robust off-roading. Head-up display, where important information is projected onto the windscreen so the driver can keep eyes on the road. Night Vision can recognise animals and people, however dark it is outside. Along with Blind Spot Assist and Traffic Sign Recognition, all of these technologies are born of ‘intelligent functionality’. All are seamlessly integrated into the car’s design with a focus on enhancing and perfecting the driver experience. Its hi-tech display systems, built-in cameras and sensor-based driver assistance technologies create the feeling that you are not just in the landscape. You are part of it.